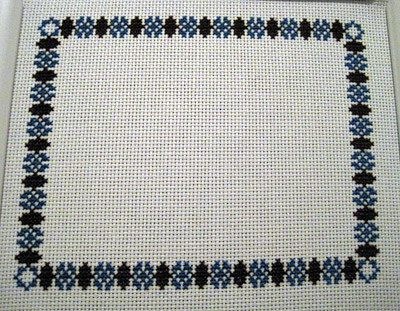 Finished the outer border, by next week I should be onto the text. I've also been in pattern making mode. I'm currently working on 3 new patterns simultaneously. I'm doing different things will all of them so it's pretty confusing/stupid of me to do the patterns at the same time. But really I'm just happy that my creativity seems to have returned.